Opening a dental office is a significant step in a dentist’s career. It is also quite taxing. According to the ADA Center for Professional Success, taking it one organized step at a time can help alleviate some of the stress. The size and location are based on your 10-year plan. This plan is how you envision your business to be functioning in ten years, in terms of maximum production. Having a 10-year plan will enable you to determine the number of operatories required to achieve your goals. Some dentists simply want to be sole proprietors, with a full-time hygienist and possibly another part-time hygienist. Others may want to hire an associate down the road or even run a multi-provider clinic. A full chapter excerpt from How to Open a New Dental Office or Relocate Your Current One on deciding how many operatories an office will need, how much square footage an office will require, and other preliminary decisions when choosing and constructing a dental space can be found here. This excerpt is provided courtesy of Gordon F. Osterhaus Jr., DDS. Dr. Osterhaus is the author of How to Open a New Dental Office or Relocate Your Current One. The book is available online at www.valleydentalconsulting.com. 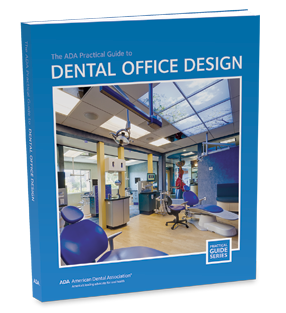 Dr. Osterhaus is also a contributing author to The ADA Practical Guide to Dental Office Design available through the ADA catalog. Interesting article. We have a large practice at SFDC and two websites needed to generate the influx of patients. My advice for a dentist looking for a practice – know the neighborhood. We started small and stayed in our practice for 15 years before we moved to a bigger practice. bigger practice means more responsibility and more employees. It helps to have a good SEO person as you will need plenty of new patients. You can always email me for advice. Thank you….